'''The Odanite Expeditionary Force''' is a joint-military unit comprised of the army, navy and intelligence assets of the former Clan Odan-Urr and survivors of [[New Tython]]. 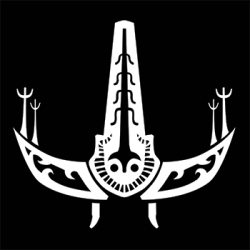 The OEF was formed after the [[Battle of Florrum]] from the remnants of the [[Kotahitanga-Unity Defense Force]], [[Sentinel Network]] and recruits from all corners of Brotherhood space who wished to join the fight against the Iron Throne. Over time the OEF grew into a respectable fighting force as they continued to acquire personnel and equipment from various sources. The OEF represents the unified command of Odan-Urr’s ground forces, naval forces and [[Sentinel Network | intelligence service]]. The OEF is directly commanded by the Deputy Councilor (Proconsul) in wartime but is ultimately under the authority of the Council of Urr and the High Councilor (Consul) as commander-in-chief. The OEF rarely mobilizes outside of planetary scale engagements instead working through its subordinate units, '''Joint Task Force - Hoth''' and '''Joint Task Force - Shan'''. JTF-Hoth and JTF-Shan have few forces permanently assigned to them, instead forces are allocated for their use on an ad hoc basis from the OEF based on mission requirements. The OEF represents the unified command of Odan-Urr’s ground forces, naval forces and [[Sentinel Network | intelligence service]]. The OEF is directly commanded by the Deputy Councilor (Proconsul) in wartime but is ultimately under the authority of the Council of Urr and the High Councilor (Consul) as commander-in-chief. The OEF rarely mobilizes outside of planetary scale engagements instead working through its subordinate units, '''Joint Task Force - Hoth''' and '''Joint Task Force - Shan'''. JTF-Hoth and JTF-Shan have few forces permanently assigned to them, instead, forces are allocated for their use on an ad hoc basis from the OEF based on mission requirements.